Rustic chalet in masonry near Mata Atlântica with maximum capacity for 03 people. 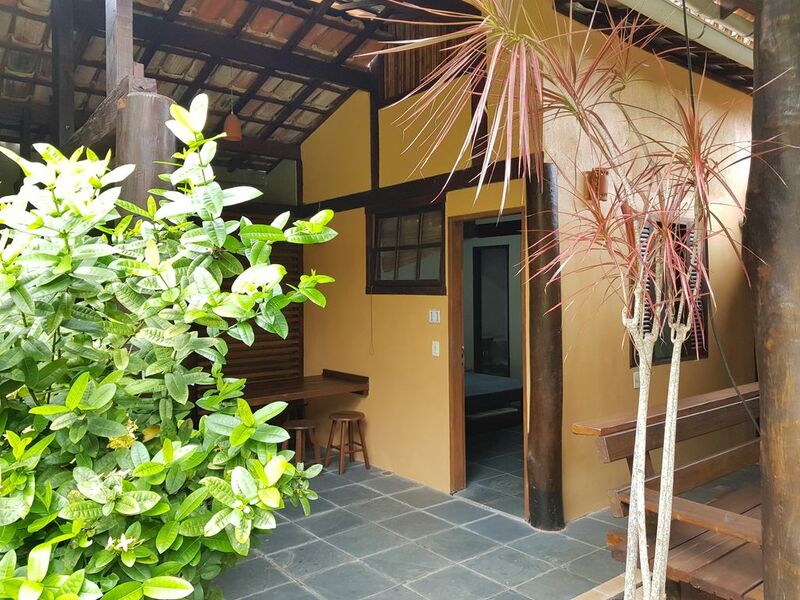 Located in a condominium of chalets 850 meters from Juquehy Beach, 12 minutes walk and five minutes by car. Chalet number 11 with balcony and exclusive barbecue. It has a double bed and a single bed in a combined bedroom / living room, bathroom, equipped kitchen with refrigerator, stove, microwave and cooking utensils. It has ceiling fan and accommodation for 03 people. It has open closets, tv and wifi signal. In the outside area, it has two showers, two full bathrooms, 01 lounge with fireplace and minibar and parking for 06 vehicles, only 01 per chalet. We do not guarantee parking. Next to our chalets has a small shopping space with Shopping and several shops.